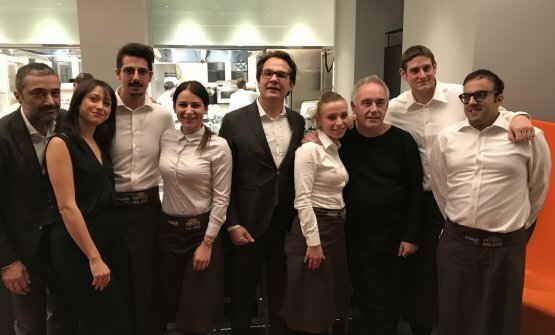 A few days ago, we attentively followed two different events with Ferran Adrià in Milan. 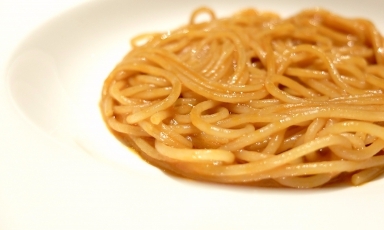 The first was a dinner at Identità Golose Milano, the International Hub of Gastronomy in Via Romagnosi 3. 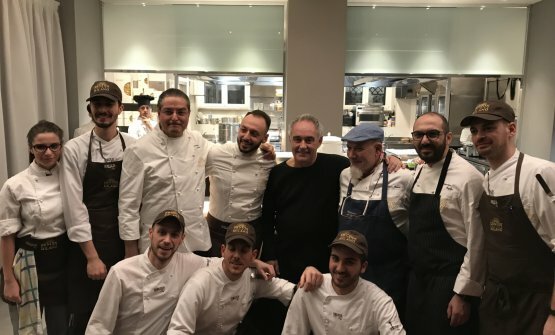 Here the Catalan chef dined while four chefs representing Le Soste di Ulisse cooked, starting with president Pino Cuttaia, from La Madia in Licata (Agrigento), author of the dessert, and then, following the long menu, Gioacchino Gaglio of Gagini in Palermo, Angelo Treno of Al Fogher in Piazza Armerina (Enna), Damiano Ferraro of Capitolo Primo in Montallegro (Agrigento). The second moment was the following day, at the Lavazza Flagship Store in Piazza San Fedele 6, again in Milan, for the presentation of Coffee Sapiens, Lavazza’s contribution to Adrià’s great Bullipedia project. We’ll cover this in detail in the next piece. 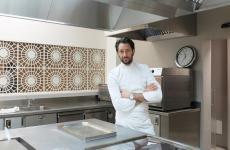 For now, let’s start with Adrià at Identità Golose Milano. «Felicitaciones, una calidad incredible...»: Ferran walks around Via Romagnosi 3 with Paolo Marchi and Claudio Ceroni. He admires the spaces, then sits at the table at a time that is hardly Spanish, and uncommon in Milan too, since it’s little after 7 pm. 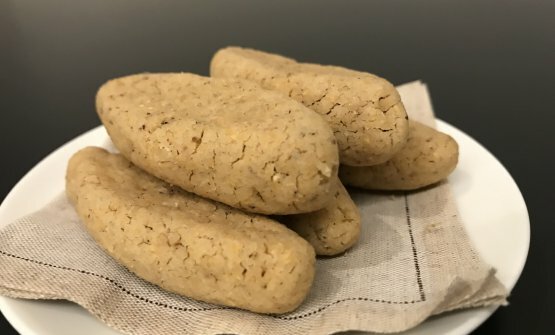 He’s tired («I’ve visited 40 cities in two months») and hungry: the first bowl of olives ends in a minute, then it’s time for casatielli, a sort of maisontarallini: he eats them, opens his eyes wide and says «they’re very interesting, who made them?». 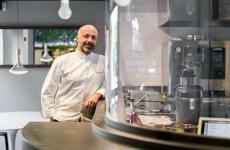 The author is Alessandro Rinaldi, executive chef at Identità. They call him. 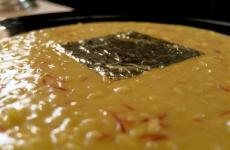 Ferran: «Can you give me the recipe? I’ll send it right away to my brother Albert[deux ex machina of the elBarri system, six great restaurants in Barcelona, and then Ibiza, London and more]. 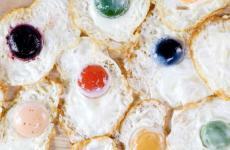 They’re delicious, we can offer them at Bodega 1900». Rinaldi doesn’t waste a second, the recipe is already on its way via email. This is what he later told us: «It’s a variation on taralli: cornflour, a little 00 flour, lard, salt, pepper. Two different types of dough with brewer’s yeast, I mix them, shape them (in this case, a sort of boat, the initial idea was that it would sail into the palate with a crew of butter and anchovies), three different moments of baking at decreasing temperatures, length and humidity». Once the hole in the stomach is dealt with and after toasting with Ruinart Rosé AOC, the chat begins. 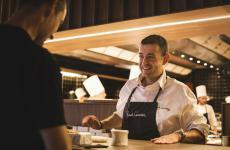 Sitting by the table, for Lavazza, there’s also Michele Cannone, Head of Food Service Marketing, and Sara Peirone, Top Gastronomy Manager. 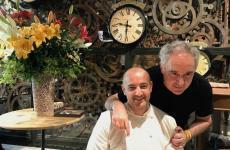 What with Brexit and all, says Ferran, one would rather avoid the British capital. 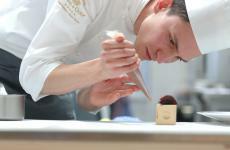 «My brother Albert has just opened Cakes and Bubbles there, inside Cafè Royal (70 Regent Street, www.cakesandbubbles.co.uk), a place dedicated to pairing fine pastry with bubbles». And the next stop is New York. 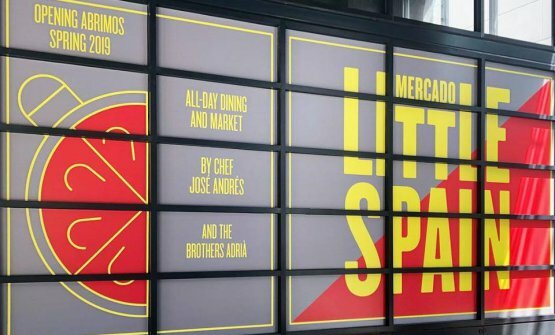 «In May, Mercado Little Spain will debut in Hudson Yards, an innovative, incredible neighbourhood. The chef will be José Andrés. I will help at first. It will be a sort of Eataly, but without shelves». 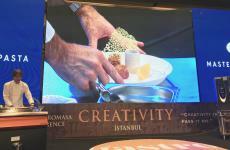 The focus will be on Spanish culinary culture, «I’m proud to export it. I think of gazpacho, which for me is the most brilliant popular recipe: healthy, modern, vegetal. It will be a success on the other side of the ocean too. 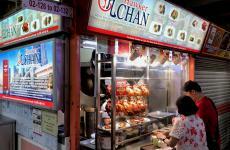 This is the current gastronomic trend worldwide: tapas, sushi». 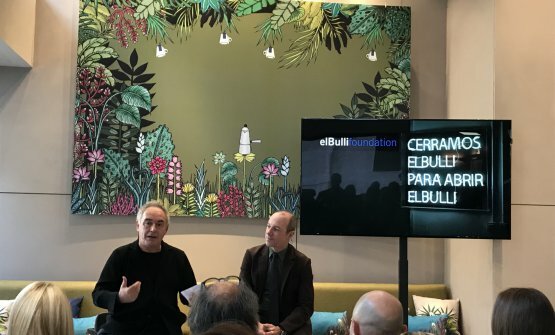 ElBulli closed in 2011, but it’s never been so important from a gastronomic point of view, Adrià says while he speaks of the new three stars given to Mauro Uliassi in Italy: «He’s also worked with us, like so many others. 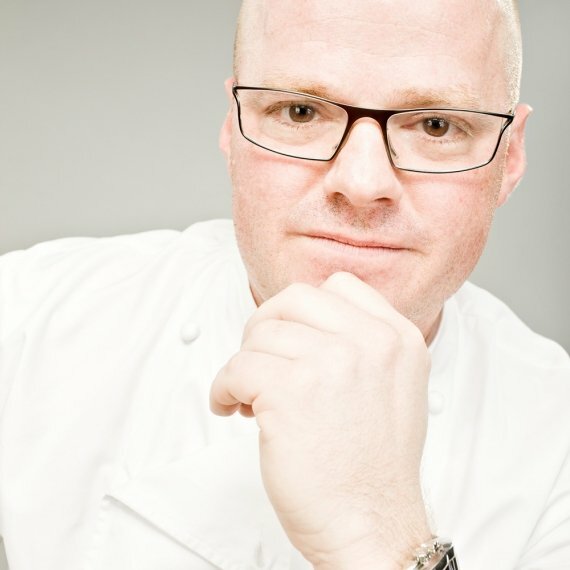 In 2001 we had Massimo Bottura, René Redzepi and Grant Achatz, all at the same time. 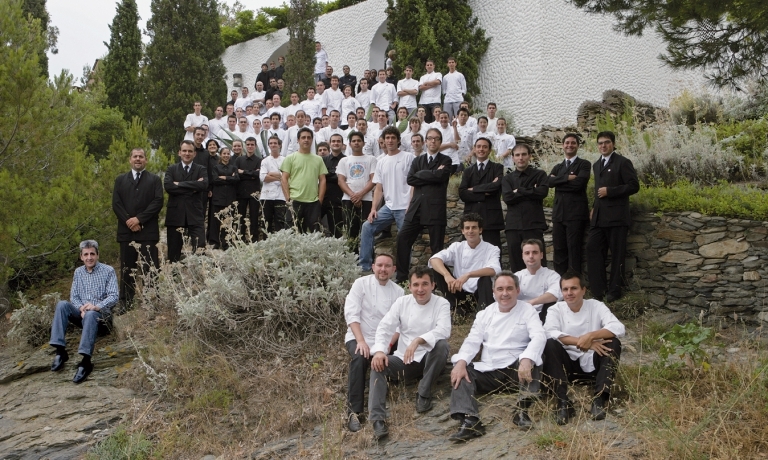 In general, some 2100 cocineroscame at Cala Montjoi. This was possible because we were closed 6 months each year. So the turnover was mandatory. Was it hard to manage? Not so much: at first, then we found a method. 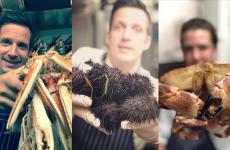 Today I’m happy of the work of bullinianos like Mateu Casañas, Oriol Castro and Eduard Xatruch at Disfrutar in Barcelona and, again in Barcelona, of Albert Raurich (previously at work with Dos Palillos’s oriental cuisine) at the new Dos Pebrots», offering Mediterranean tapas that investigate cultural-gastronomic influences in the history of Catalonia, starting from the Greeks and the Romans. 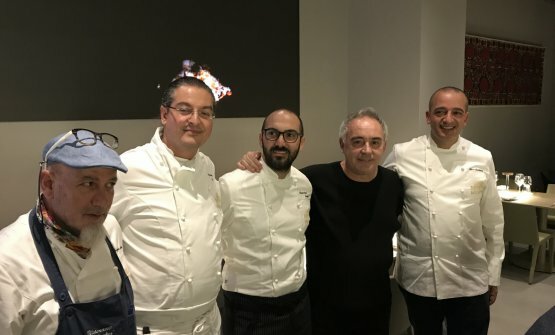 But the attention of Adrià is focused on elBulli 1846 [the number of dishes he created in his restaurant, as well the year Georges Auguste Escoffier was born], the revolutionary project in the location of the elBulli, 6000 square metres dedicated to creativity. «I will only make one presentation, at Madrid Fusión in January». All right, but what is it going to be like? 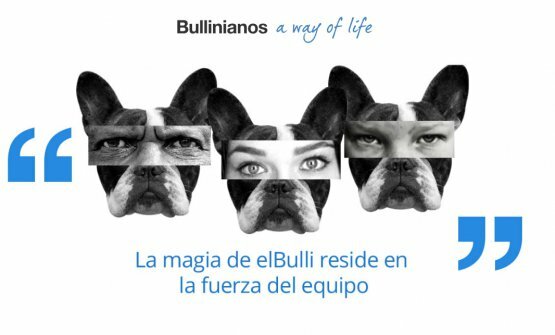 «Something much more important than elBulli itself». Let’s try to explain it to our readers... «It’s not easy. It won’t be a university, nor a business. I’d say it will be a sort of private centre run by the elBullifoundation [the safe storing Adrià’s ideas, funded by Lavazza with Telefonica, CaixaBankand Grifols, the latter represented in Milan by general manager Lluís Garcia] and will become a global centre where innovation experts will be able to research, study, and experiment on creativity and efficiency». They will analyse the methods of innovation rather than innovation itself, so as to determine models that can be exported to other fields. «This though in fact there’s no such thing as one model. 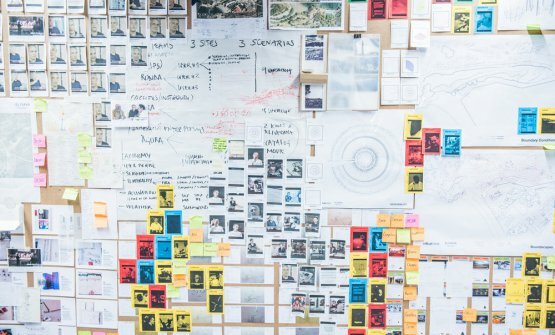 We don’t know a thing about the creative process». Excuse me? «I told you, it’s hard to explain. Put it this way, it seems a locura. You’ll see». 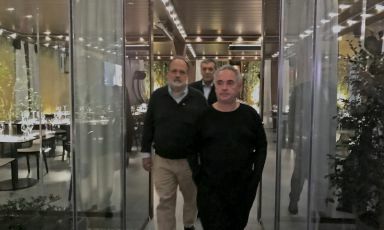 To select the staff for elBulli 1846 Ferran wants to organise three events for «cooks, philosophers, journalists, scientists... And we’ll need some "agitators", people who will question what is known, creating stimuli for creative freedom». The first event in January, «we’re taking a maximum of 15-20 people as a first step. No more: more than that, and the leader of a group dedicated to innovation will lose control of the team. Ideally, we shouldn’t have no more than 12 people... How will I select? We have an eye for these things now. 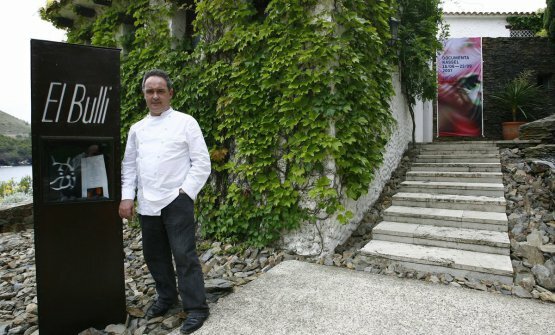 At elBulli it was easy: Aduriz sent me the best, Bottura sent me the best, and so on. What are we going to do? Everything. Every possible thing. As long as it’s legal. We won’t communicate much: it will be a long seller, it wouldn’t be enough just to write a quick report and that’s it. The topic: basic investigation on innovation, so that we can set the conceptual foundations». 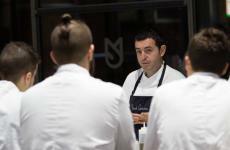 The perception one has of cuisine from the outside, Adrià says, is a disaster: «People don’t even know what nouvelle cuisineis. It’s something 40 years old. People think I’m el demonio de la espuma, when now everyone is using syphons, even cocineros mas tradicional. If we want this sector to grow, we must devote ourselves to knowledge. I believe we need at least 50 years but today we have a big help from the internet, the digital world, so perhaps 20 will be enough. I’m a strong critic, it’s true: but I also believe that the young chefs of today are much more prepared than those in my generation. 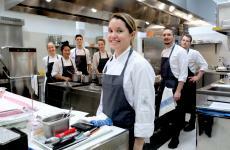 I believe the only way to make a leap in terms of quality is to learn other subjects too. 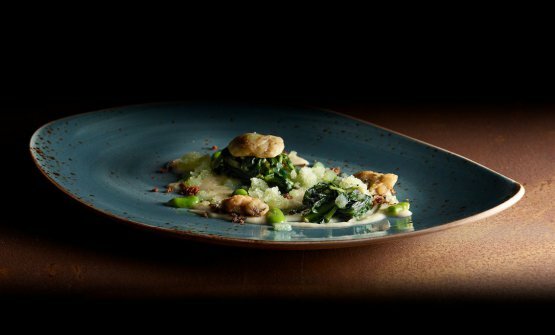 And study in detail: how can it be that the first book on the history of gastronomy was written less than 80 years ago, in German? How can it be that you Italians almost ignore Bartolomeo Scappi, who could be compared to Marie Antoine Carême? There’s plenty of work to be done». Please note that Adrià is hardly pessimistic. In fact, he oozes energy and optimism, and the desire to grow: «People say: the past is so beautiful! I reply: there was the plague in the past. Oh, politics are horrible! Why, do you think it was better, in ancient Greece? This is an extraordinary age in which the Internet has changed and is changing everything». The evening draws to an end. 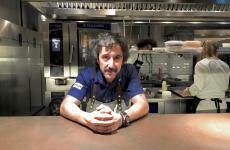 Ferran is speaking of another project, a sort of "Cooks’ Tripadvisor", with a global audience of selected professionals - chefs, sommeliers, journalists, food writers – who will be able to give their assessment, «it won’t be a best-of list. I’m thinking of the 200 who even today, without the support of an organisation behind them, are naturally influential. Not a clan, but a group of free thinkers capable of sharing their truth. Brilliant minds: Philippe Regol, Giles Coren, Paolo Marchi». 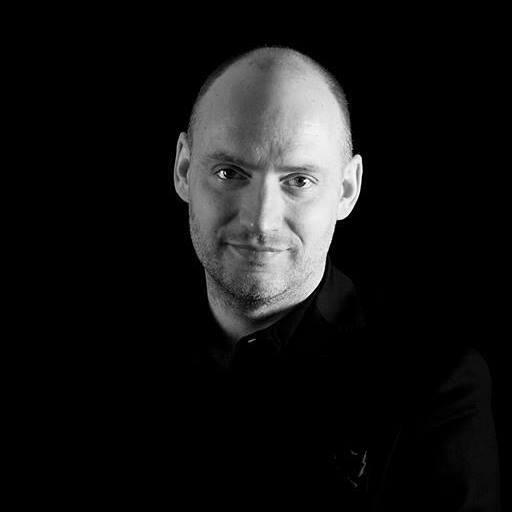 He discusses global trends: «The only two great gastronomic cultures that still need to be developed are the Indian and Arab ones. Unfortunately, they’re stuck in 1100». Finally, he leaves with a tasty memory: «The best pizza I’ve ever had? At Enzo Coccia’s in Naples, at pizzeria La Notizia. 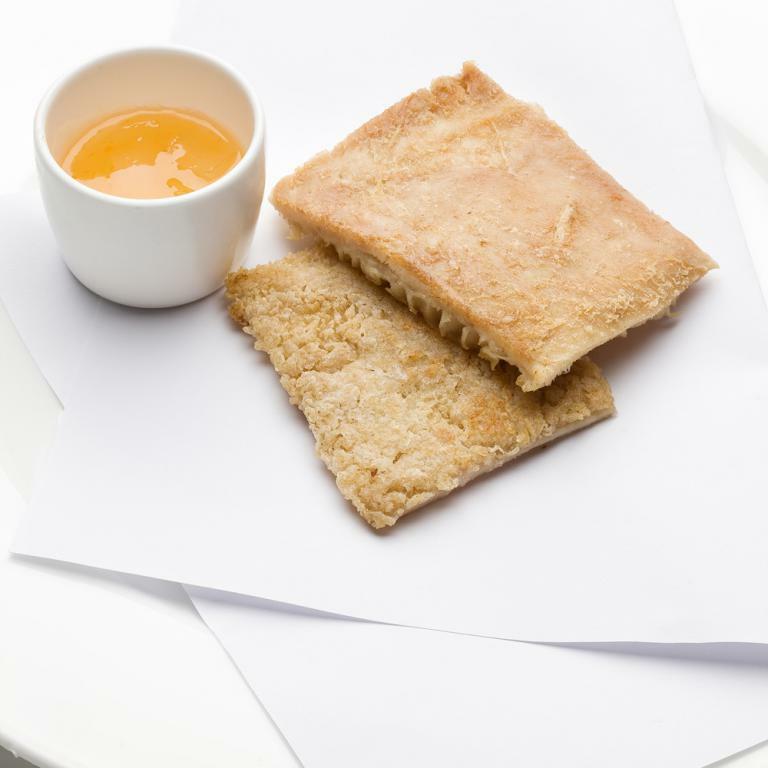 But I had a marvellous one, this small (and using his hands he mimes a small dessert plate) in Barcelona». 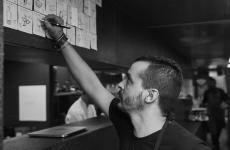 Unfortunately, he can’t remember the name of the pizzaiolo, «he’s Italian, he’s been working there fore 15 years». Clues are welcome.